– Ranking websites based on technical factors introduces an unfair discount in rankings for ONGs and universities that lack the budget for these costly updates. – While mobile traffic is superior to desktop traffic, some website are clearly desktop online. It’s unclear whether Google has a way to tell apart these sites. – Instead of being the result of a coalition or recommendations by the W3c or other standards bodies, Google is taking this step all alone. Microsoft and Yahoo have not commented on their intentions going forward. – The IAB mobile audit is definitively clear on the fact that many major brands are not ready for this change. While the report states that 80% of brands have mobile website, only about 50% of these are responsive with many brands having no mobile presence whatsoever. – Major retailers need more time to update their sites. Since the announcement was made in February, this gave major retailers only two months to conceive mobile-friendly sites and implement the changes. This is clearly an unrealistic timeline. Below, the Macy’s website is one of the most prominent not mobile-ready retailers. As Business Insider reports: The impact of Google’s mobile-friendly algorithm is predicted to be huge. Search Engine Land reported Google’s Zineb Ait Bahajji, who works in the Webmaster Trends team, said it will have more of an impact on Google’s search results than the previous Google Panda update and the Google Penguin update. 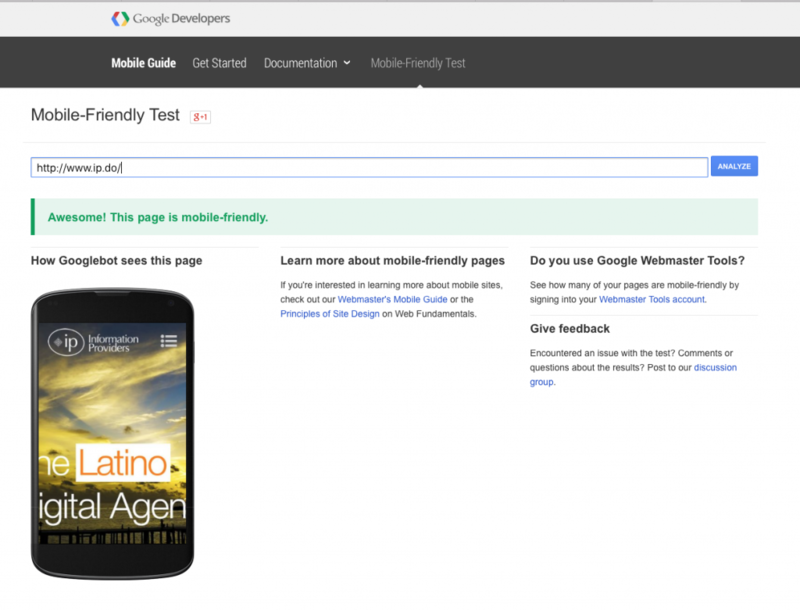 1) Test your current website using Google’s Mobile Friendliness Test. 2) Use responsive web design in your page. 3) Make your webpages load in under 5 seconds. 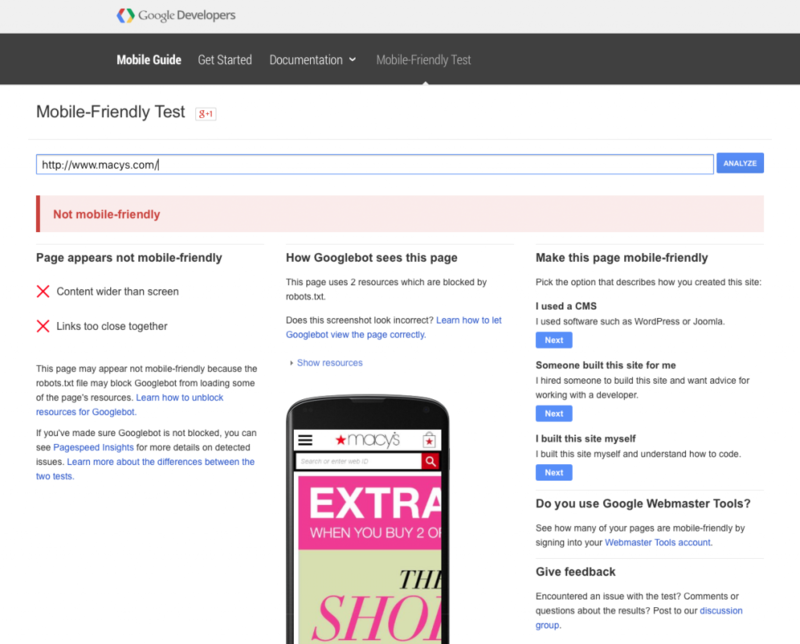 4) Authenticate your website with Google Webmaster Tools and fix any pending errors. 5) Implement Google Analytics and monitor your progress. And remember, the web is mobile first now. The game has completely change (hopefully for the better).